Home dailythings Diet fitness Food Health & Wellness Health and Wellness Nutritions recent slider Viral Section This is the Ideal Breakfast if You Want to Lose Belly Fat! Breakfast should be rich in proteins in order to satisfy your hunger and keep you full for longer. That’s why eggs are perfect because they’re rich in proteins. One medium sized egg contains 6-7gr. of protein, which is just the right amount to kick start your day. 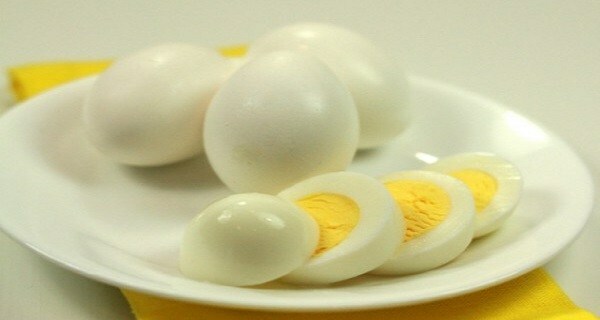 Hard-boiled eggs are not just healthy and nutritious, they’re practical as well. You can prepare it anywhere and eat it anywhere as well. They’re low in calories, but will give you a sense of satiety which will last until your next meal. Your perfect breakfast is consisted of one hard-boiled egg and one apple. Combined, they have approximately 160 calories, which is just enough for breakfast if you want to shed some pounds. This meal should be enough to keep you away from unhealthy foods like processed meat and foods with large amounts of sugar, which is what’s causing all those extra pounds in the first place.